Afterchamber - FRSR Crematory Repair Inc. 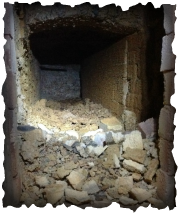 When the after chamber deteriorates, debris builds up causing back pressure inside the retort. This can cause the unit to overheat and smoke. It could also affect the run time per case, costing you more money to operate.